Since the late 90’s computers have become a part of our daily lives. With each passing year we moved away from the expensive, slow and not-so-powerful family PCs of those days. As the years go by, everything about computers has become better, faster, cheaper and more reliable, which means that it is now, more than ever, possible for every member of a family to buy his or her own personal computer (which is indeed what PC stands for) that they don’t have to share with everyone else? Shopping (you can even find virtual a virtual coupon or two if you know where to look). This essentially makes modern computers capable of pretty much anything their user can think of. The number of PC users has increased exponentially, but the computer literacy of these users has not. What this means is that, when a computer inevitably fails, a lot of users will simply not know what to do about it and end up either calling a professional or end up asking a “knowledgeable” family member or friend to help them with their problem. This lack of knowledge can also mean that a user has to sacrifice time they could be using in order to be more productive or to perform a task that has a deadline or even just to be able to relax more effectively. The first part of our last list also means that nowadays, even with the improvements made to compatibility and durability, the reasons a PC might stop working correctly can be really diverse. On the other hand, there are some things that have always caused problems, including freezing and crashing programs or perhaps even the dreaded Windows Blue Screen Of Death: incorrect graphics drivers. And no, you don’t really need to have a dedicated graphics card installed in order to have incorrect or outdated video drivers installed; even integrated graphics can suffer from this. Luckily, this is one of the easier problems to fix, since all you need to do is look for the correct drivers, install them and that’s that. Finding the correct drivers to install can be a bit of a chore sometimes, but it shouldn’t be too bad, if you know what to search for and where. And that’s it. In layman’s terms a driver simply tells your OS how to interact with a particular piece of hardware in an easy to process manner. They are important simply for the fact that every PC out there has different specifications, which can result in a myriad of possible combinations that could present a problem with compatibility. Select either “GeForce drivers” or “All Nvidia drivers”, depending on your needs. Make a note of your Product Type, Series, Product Name, Operating System and Language. Simply download and install the drivers, carefully reading and following the instructions on the installation package (you might delete favourite settings, profiles or similar items if you’re not careful). 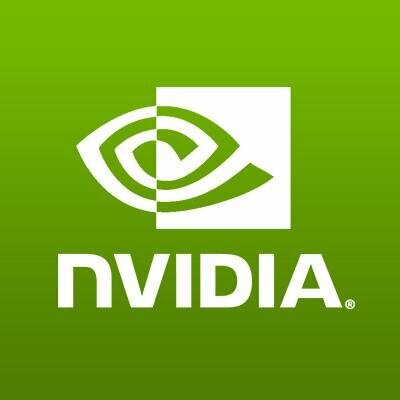 For GeForce users, Nvidia also offers a program called “GeForce Experience” which will look for the drivers appropriate for your card automatically and give you the updates to install whenever a new one comes out. Yes, it really is that simple, and there’s even a feature on the Experience application that automatically looks for updates every so often, letting you know that there’s a newer version of the graphics driver available (although you still have to install it yourself).